Shri Sai Baba of Shirdi was one of the greatest saints with miraculous powers, seen in early decades of nineteenth century in India (mahasamadhi in 1918) and is revered as a God incarnate for uplifting the people of all faiths and communities. Sai Baba is beyond distinctions of religion, caste or creed. He embodied all religions and preached the Universal religion of Love. He said that 'my aim is to change the hearts of Chrstians to make them better Christians, muslims to make them better muslims, Hindus to make them better Hindus and Sikhs to make them better Sikhs' (and people of all other religions and faiths too). Provide support to the Senior Citizens and Youth for healthy life styles including Yoga and Meditation. You are cordially invited with family and friends to Sai Dham temple. For further queries please contact Sai Dham. Bhagawan Sri Sathya Sai Baba is no more with us physically. He left His earthly body on 24th April, 2011, at 0740 hrs. due to cardio-respiratory failure. Bhagawan Baba's Body will lie in state at Sai Kulwant Hall for two days (Monday and Tuesday). Arrangements will be made for Darshan after 1800 hrs. today, at Sai Kulwant Hall. For a full list of upcoming calendar events click here. 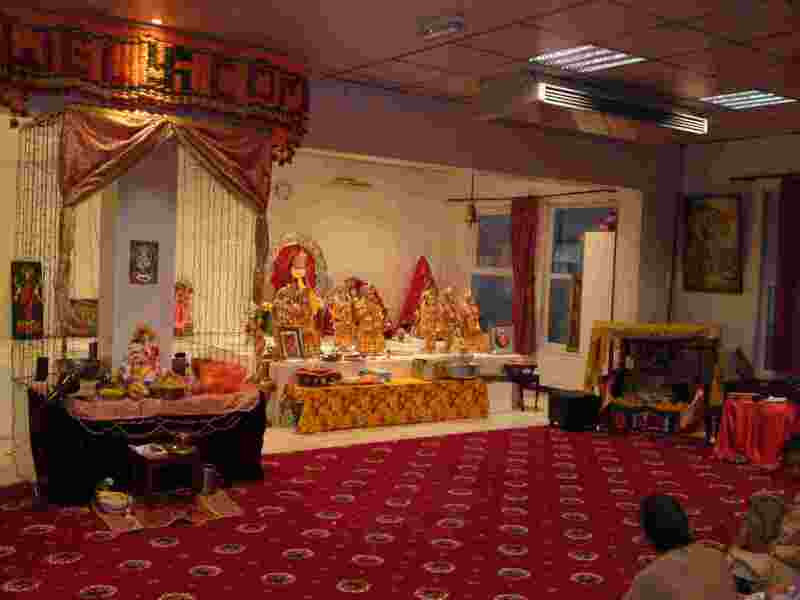 Click here for the list of events and pujas. For our opening times and daily schedule click here. See Chairman's appeal letter click here. The purpose of true education is to create the right sense of values, the value of time, the value of discipline, the value of character, the value of prayer, the value of hard work the value of responsibility, the value of teachers and the value of parents and elders.